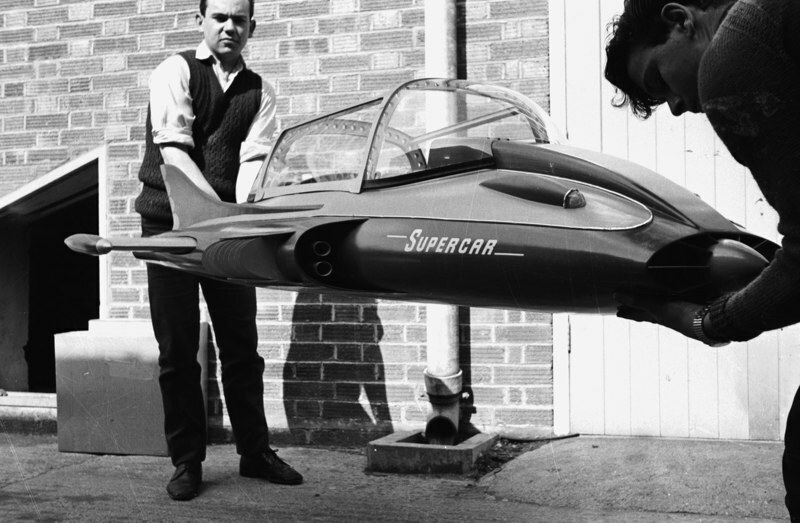 Official Gerry Anderson Website launched to cover legacy and shows in development. Follow on Twitter at @GerryAndersonTV. The sad news of the passing away of Gerry Anderson on 26th December 2012 at the age of 83 was given by his son Jamie Anderson. Other tributes were given in the BBC Obituary and by BBC News and the BIS. 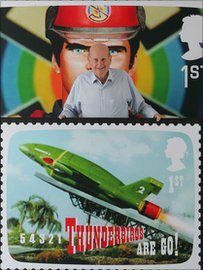 Congratulations to Gerry Anderson on the award of an MBE in the Queen's Birthday Honours list on 16-Jun-2001. The award of a "Member of the British Empire" medal is for services to animation. Fanderson's Gerry Anderson Locations Guide - with details of locations used in various Anderson productions. Fanderbooks - Gerry Anderson Book List - (including link to Japanese Language Version of Non-UK Books List) by Austin Tate. The World of Gerry Anderson by Toshinori Nikuma - Site in Japanese. Okiura's Thunderbirds CG by Yasushi Okiura. Sixties City - Dimensions of Gerry Anderson by Clint - sixtiescity@aol.com. 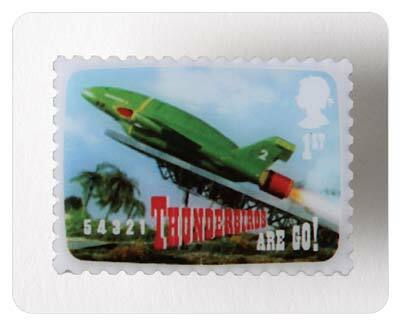 Thunderbirds and Friends - German web site including all Gerry Anderson shows - by Micky Bister. 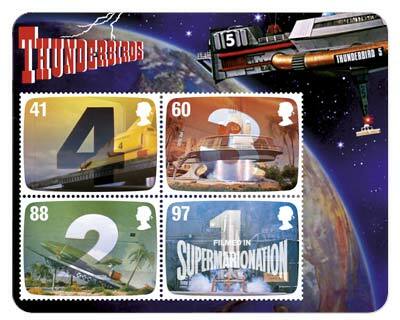 BBC Gerry Anderson Cult Programmes web site with wallpaper, games, etc. 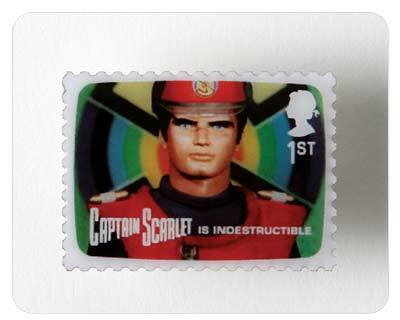 Memorable TV Gerry Anderson TV Shows. Red Alert - Gerry Anderson Fanzine and Web Site by jammer@senet.com.au. Sector 25 dedicated to the shows of Gerry and Sylvia Anderson by Robin Day. An interview with Gerry Anderson appears on DVD Reviewer for March 2002. Anderson TV - Home of the Classics. There is a collection of Gerry Anderson Models in Sketchup format. Space Models Photography - Scratch built Gerry Anderson model kits on photographic backgrounds, by Keith McNeill. Initial list thanks to Question 36 of the Gerry Anderson FAQ from Kimberly Murphy-Smith of Power Star Magazine with subsequent additions. Most of the series' logos from Simon Wickes's TV Century 21 Site. Production dates and TV series and film synopses from the Fanderson Gold Convention Booklet, August 1996. Also See: Most of the Gerry Anderson Web Sites listed above also have pages for the various series and films. Martin Kane, Private Investigator - "Film Studio"
TV show, Produced 1957, First Broadcast 1957? Film, Produced 1960, First Shown 1960? The Supercar Model Page by Mick Imrie. The Internet Yellow Pages - Television - Fantasy, Horror and Sci Fi. See Supercar entry. Supercar - Superfan Page - and Black Rock 1 Yahoo Group - by Keith Wilson. Supercar - French Site by Réjean Gosselin. Sim's PC Game - Supercar Add-in - go to shopping, then cars, then Supercars. Local copy here. Full Boost Vertical! - The Making of Supercar Documentary DVD. More details at 10th Planet. Contact sales@tenthplanet.co.uk. Black Rock One Archive by Rob Haeuser. Beaker's Bureau [and local information is here]. Winner of Grand Prix Prize at the First British Television Commercials Award Ceremony in 1961. A number of advertisements starring Fireball XL5 were made for Lyon's Maid to promote the "Zoom" lollipop. 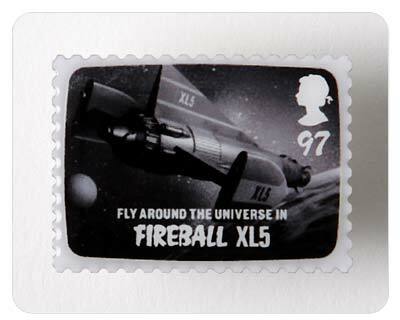 You know you watch too much Fireball XL5 when... by Stéphane Dumas. The Internet Yellow Pages - Television - Fantasy, Horror and Sci Fi. See Fireball XL5 entry. Fireball XL5 Yahoo Club - discussion forum by Cefcu_Larry fugate. XL5 TV Frame Grabs for Modellers by Chuck Foster. XL5 Model Page by Byron Wilkins. Fireball XL5 Page by Steve Christensen. Fusée XL5 - French Site by Réjean Gosselin. Fusée XL5 (direct link to XL5 part is here) - French Language Fireball XL5 site - by Nicolas Roberge. Fireball XL5 in Spanish by bonzok, Argentina. 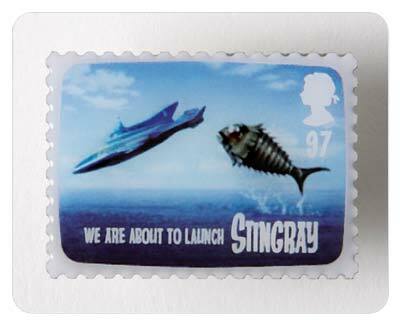 A number of advertisements starring Stingray were made for Lyon's Maid to promote the "Sea Jet" lollipop. Stingray Computer Models Page by Austin Tate. SCi Thunderbirds Game for Nintendo Gameboy (produced by Pukka), and for PC, Sony PlayStation 2 and XBox (produced by Deep Red. Further images and information available at the SCi Web Thunderbirds Game Page. Also available is a 15MB download Preview Movie. Thunderbirds Are Go by John Tracy! Cars of the Stars Museum, Keswick, Cumbria, UK has the Full Sized FAB1 on display. Thunderbirds - Official Web Site. According to Gerry Anderson Dimensions from Kyndamagic, footage of a Concorde model taking off was made for use in a British Airways documentary. Captain Scarlet Strategy Game - Batfish Studios. The brain patterns of top experts are transferred to nine-year old Joe McClaine, enabling him to become the most special agent of W.I.N. Titled Journey to the Far Side of the Sun in USA. Doppelgänger Page, part of the Thunderbirds and Friends, German Fan Site by Micky Bister. Gerry Anderson later worked with script editor Wilfred Greatorex on an abortive script called Youth is Wasted on the Young. ISOSHADO by Paolo Malaguti (supervisor) and Marco Raffa (webmaster). Space:1999 Cybrary by Robert Ashley Ruiz (cybrarian@cybrary1999.com). List of Space:1999 CGI models at http://www.space1999.net/. Eagle Transporter visual reference resources web site - by Mark Ballantyne. The Day After Tomorrow - "Into Infinity"
Space Police Page, part of the Thunderbirds and Friends - German Fan Site by Micky Bister. Winner of Advertising Industry's Silver Arrow Award. Animated series with production of one sample episode entitled "Warming Warning" taking place in Russia. Stories about a dog with sophisticated rescue equipment. A proposed live-action science-fiction series at an early stage of development. A cel-animation (charcaters) mixed with CGI (craft) science-fiction series for japanese TV. Production began in February 2002, and was first broadcast in Japan starting 6th April 2003. Based on an original idea by Gerry Anderson and John Needham. Character devlopment by Steve Kyte, craft developoment by Steven Begg. Music composed and arranged by Fumitaka Anzai with details of his work at Anz's Home Page. FireStorm Goods Shop FireStorm good and correctors items. Fanderson News - article on Captain Scalet New Series. 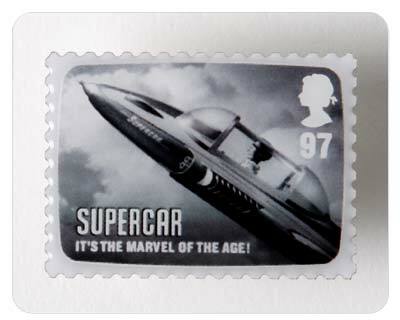 Moquini- Home of Gerry Anderson shows memorabilia by Lawrence Titterton. 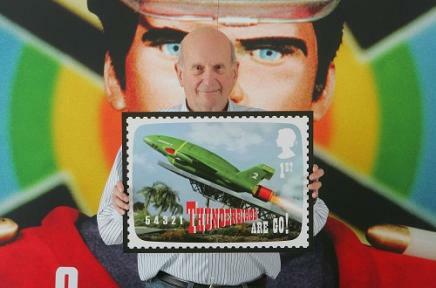 Dave Griffiths (tv21toys@hotmail.com or D.C.Griffiths@btinternet.com) is a source of Gerry Anderson Memorabilia. Comet Miniatures is a source of Gerry Anderson related models. A local page with some Supercar and Fireball XL5 related model details is here. T'n'T Hobbies by Tony Barnes. Gerry Anderson related models and diaramas. Monsters in Motion is a source of Gerry Anderson related models. See the Spaceships & Vehicles pages. 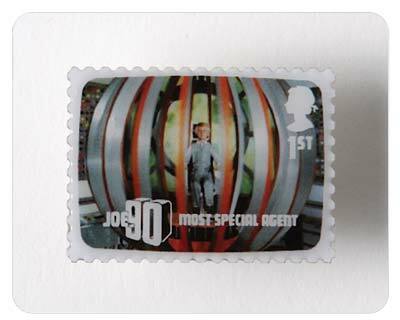 Tardis Collectables is a source of Gerry Anderson related collectables. this planet earth ltd. - Gerry Anderson Models. Unicorn Miniatures by Robert Armstrong produces white metal miniatures related to Gerry Anderson productions. Green's Guide to Collecting TV, Film, Music and Comic Book Annuals by Paul Green and Laura Taylor. 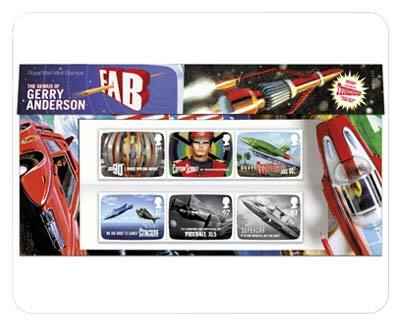 Also includes a Gerry Anderson specific section. Ebay The Sci-Fi Zone including a Gerry Anderson specific section. Martin Bower's Model World - with various highly detailed Gerry Anderson related models. Graham Bleathman - artist specialising in Gerry Anderson Cutaways and other images. See specific Anderson-related list. Pelham Puppets On-line with a gallery of Pelham puppets including Gewrry Anderson show characters. Space Patrol (a.k.a. Planet Patrol in the USA) is a puppet series made by Roberta Leigh and Arthur Provis who worked on Twizzle and Torchy with Gerry Anderson. Gerry Anderson was not involved in the making of Space Patrol. Dan Dare is not related to Gerry Andderson, but will be familiar to GA fans from Eagle comic in the 1960s. This World of Gerry Anderson site is owned by Austin Tate.